Introduced a few months ago, Samsung’s Galaxy Watch is aimed at making you more efficient at work, help manage incoming notifications better, and improve your workout among some of its benefits. But besides basic functions for tracking your fitness and reducing the number of times you have to pick up your smartphone, the Watch also lets you be entertained in a number of ways. 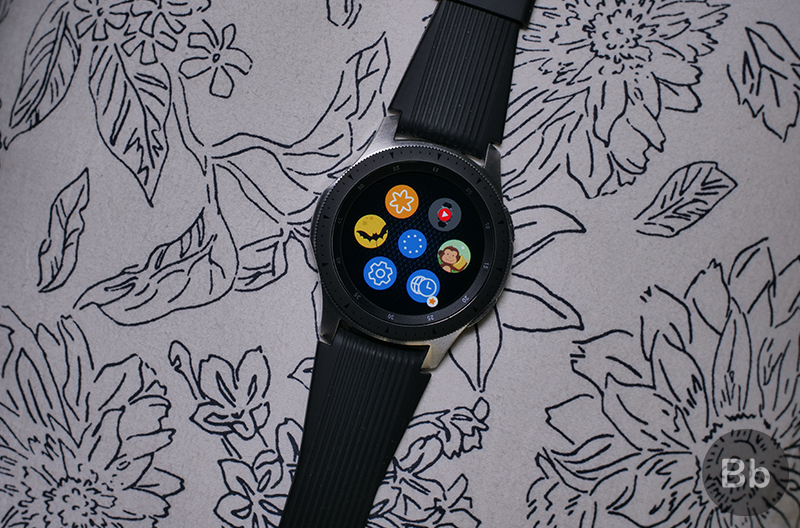 The Galaxy Watch supports a variety of games and apps that can not only help you cut your dependency on your smartphone but also offer you a wholesome dose of amusement. 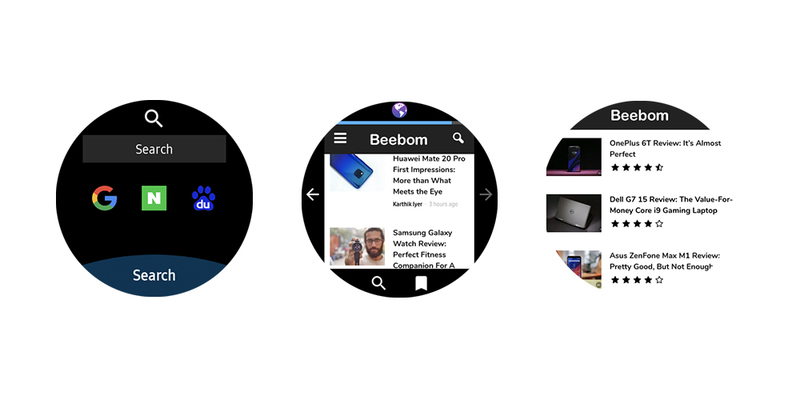 I tried many such apps on the Samsung Galaxy Watch during its full review and have organized a list of free apps and games that you can get for almost all circular smartwatches made by Samsung. Let’s start by taking a look at some of the engaging games available for Samsung Gear devices and the Galaxy Watch. If your urge of excelling at shooting games like PUBG is keeping you awake and anxious almost every night, you can offer your heart some respite by playing this harmless and easy-to-play game. 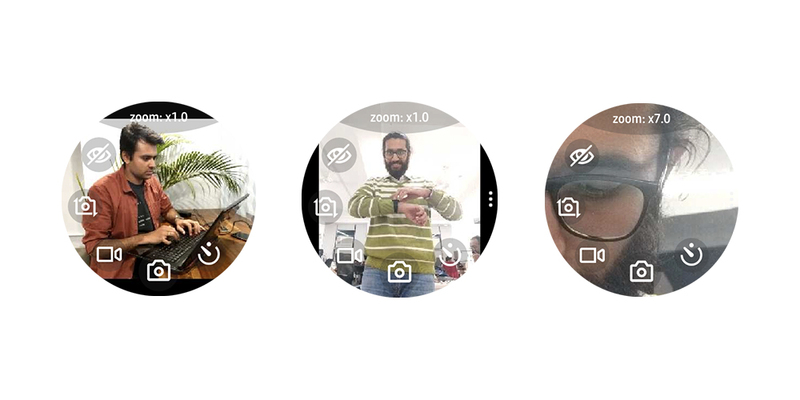 Here, the dial comes in handy for zooming in or out to target subjects while the touchscreen can be used to point and shoot before the time runs out. You can get used to the simple and intuitive gameplay easily and in no time find yourself killing long hours playing the game. 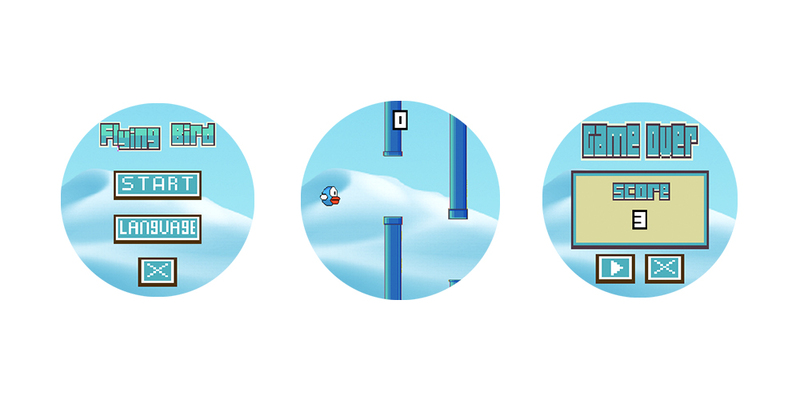 Richly inspired by the iconic game Flappy Birds, this game could be really addictive. All you need to do is tap the screen repeatedly to keep the bird in air, dodge obstacles in the form of walls, and (hopefully) make your way to freedom. Anyone who’s played the original game (or the several unofficial duplicates after the game was taken down from Play Store) will know that it is not easy as it looks at first sight. The small screen makes it even more difficult to play and that challenging aspect is what will keep you addicted and hooked on to it. The chance that you have not played the historically celebrated Snake game on an old phone is very lean. 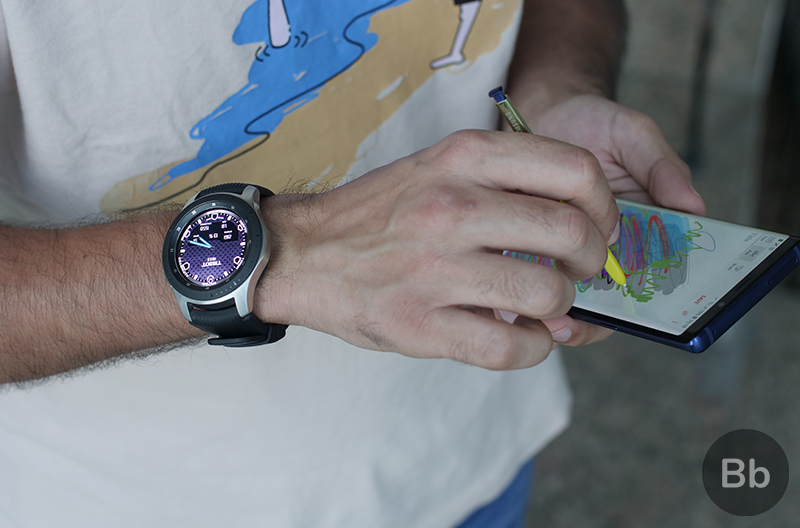 Now, using the Galaxy Watch, you can relive moments of nostalgia but with a spin. 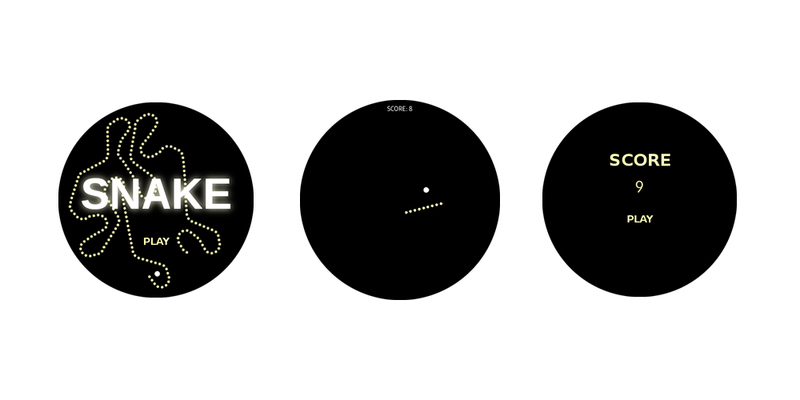 Snake Circle is a circular version of the stimulating game and the direction of the snake is controlled using the dial on Galaxy Watch. Thus, instead of moving in straight lines (rectangular patterns), the snake moves in a gyrating or spiraling path. This makes the game difficult and even more enjoyable than the standard version. Almost every child who grew up before smartphones took over the world must remember filling back pages of their notebooks with tic tac toe. With the upsurge of touch displays, games like tic tac toe have been immensely popular for their basic gameplay but Gear Tac Toe takes it a notch further. Gear Tac Toe is available for Galaxy Watch and lets you play against the computer or any other player in grids of 3×3 or 5×5. 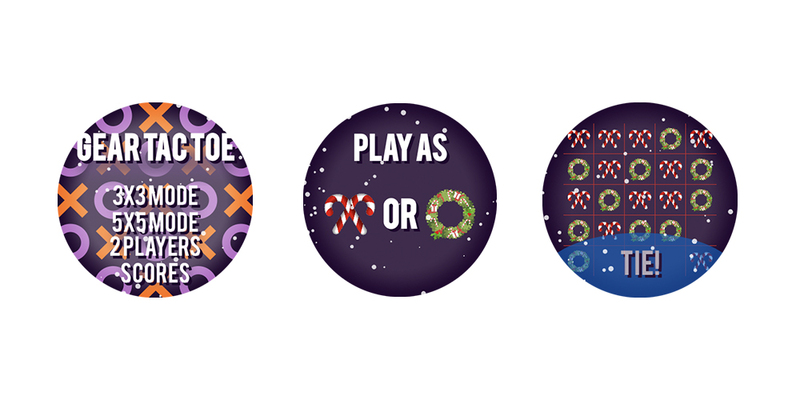 Further, you can choose a difficulty level of easy, medium, or hard, and get ready to embrace the spirit of Christmas with wreaths and candy canes. As a game meant to keep you engaged in feeding a monkey, this game can be viewed metaphorically on many different levels. 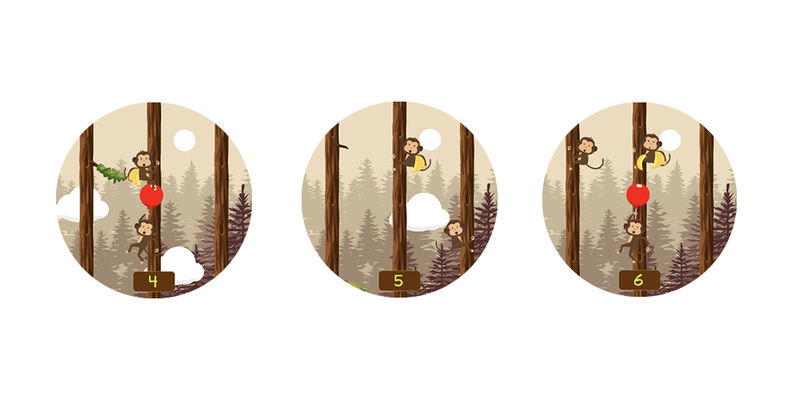 The idea of the game is to evade obstacles and keep the monkey well fed while climbing up an endlessly long tree trunk. There’s another monkey throwing bananas at the one controlled by you and these must be dodged. Occasional boosts like a balloon make the game even more rejoicing. However, I must disclaim that the game comes with some cringy sound effects and you might rather want to turn media volume off before enjoying the game. 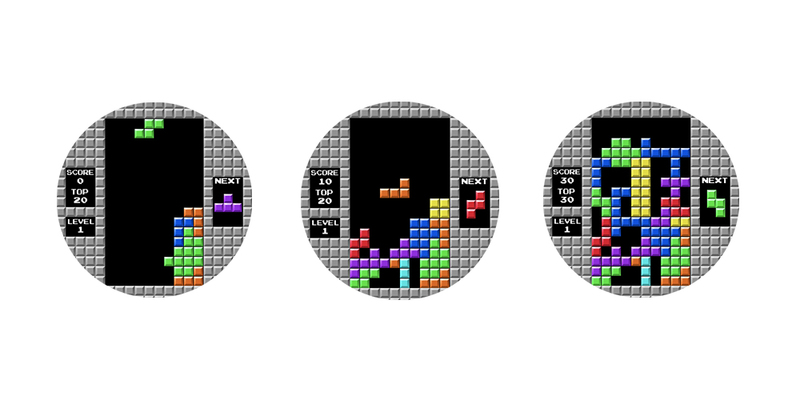 Tetris, the landmark brick matching game, has been adapted for a variety of systems and display, and Gear Bricks is its adaptation for the Galaxy Watch. 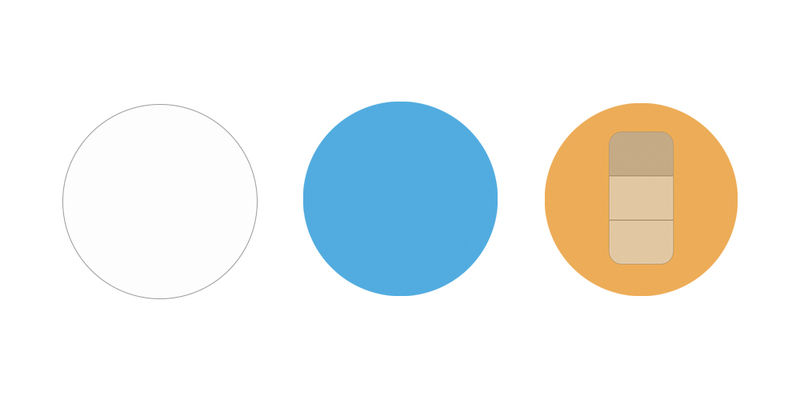 To move the tiles left or right, you can use the circular dial on the Galaxy Watch and turn the block at 90 degrees by tapping on it. Just like the standard version, the objective is to create a straight line with no empty spaces. While there is no specific modification in Gear Bricks to suit the circular display, the small field of use makes it tricky, and thus engaging. Besides these gripping games which we saw above, the Galaxy watch also supports several useful apps which allow you to accomplish much without pulling the phone out of your pocket. Let’s take a look at some of the best and free-of-cost apps you can find for the Galaxy Watch. The self-explanatory name is adequate to inform you that Player4Youtube is designed to let you play YouTube videos directly on your wrist. 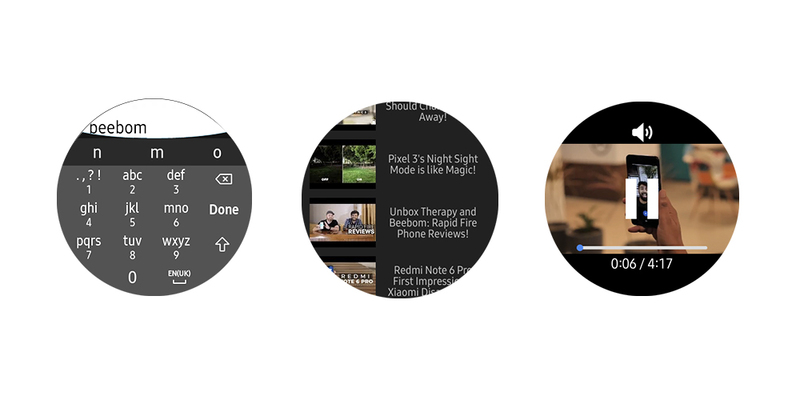 Using the T9 keyboard, you can look up for your any videos, and the app finds the right fit based on your search keywords. You don’t need to sign in with your Google account, and the app only lets you search and play videos without any option to seek them. But you can tap on the YouTube icon when the video is being played and it launches a web version of YouTube, bringing controls like play/pause, seek bar, and playback volume. If you just want to enjoy binging on funny animal videos or listen to some of your favorite music while getting things done at work or at home, you can continue to use the app normally. If you’re hungry for some urgent news or want to search something vague but momentarily important on Google – or other regionally dominant search engines, the Gear Browser app could be an ideal solution for your curiosity. You can use this browser either by connecting the Galaxy Watch to Wi-Fi or by keeping the watch connected to your smartphone running on mobile data when you’re outdoors. The browser might remind you of the primitive mobile browsers but it does the job without being jittery in any sense. You can key in your query or search for a specific website. One caveat here is that while the dial can be used to zoom in or out on the opened webpage, it cannot be used for scrolling the page. Nonetheless, I find the app immensely useful and handy, especially when my smartphone is on charging and I have to search something urgently. 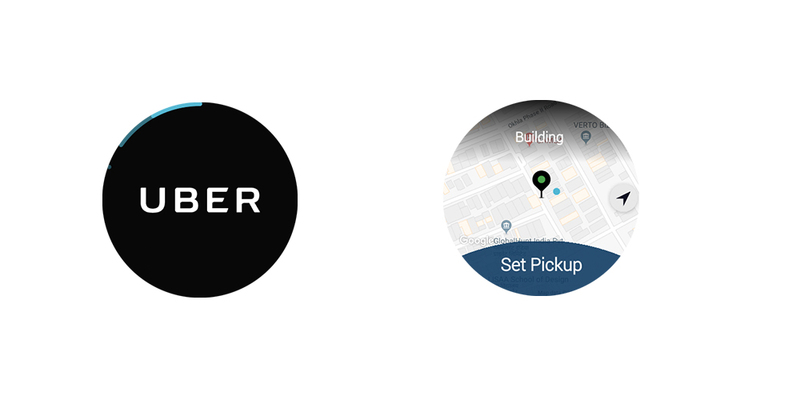 Uber offers an official companion app for Samsung Gear smartwatches and the Galaxy Watch. You will be required to You can set a group of favorite destinations like your home, work, or favorite shopping destination using a dedicated Android app. The Uber app on Galaxy watch lets you book rides to any of these favorite destinations by showing you a map view. 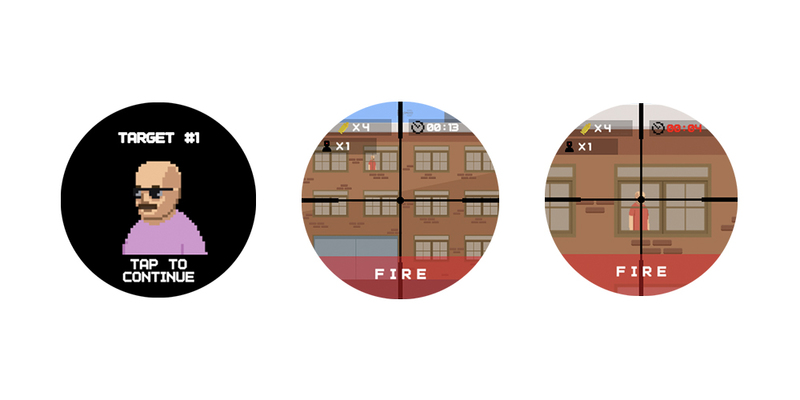 The dial can be used to zoom in or out of the map while you can drag your finger over the map to change the location. However, for the app to work properly, the phone must be connected to the watch with internet active on both the devices. Besides booking the cab, you can view the route of the arriving driver, see ETA, details about the vehicle as well the Uber driver. This one is the most convenient apps available for Samsung smartwatches including the Galaxy Watch. The purpose of the app is to give you ample light to find your way through the home without bumping your pinky toe. By tapping on the display, you can alternate between the different colors and use the dial to choose between three steps of brightness levels. The ease of use definitely makes Wrist Flashlight a desirable app for owners of Samsung smartwatches. Lately, there have been several concerns about the quality of air, especially in the NCR region. 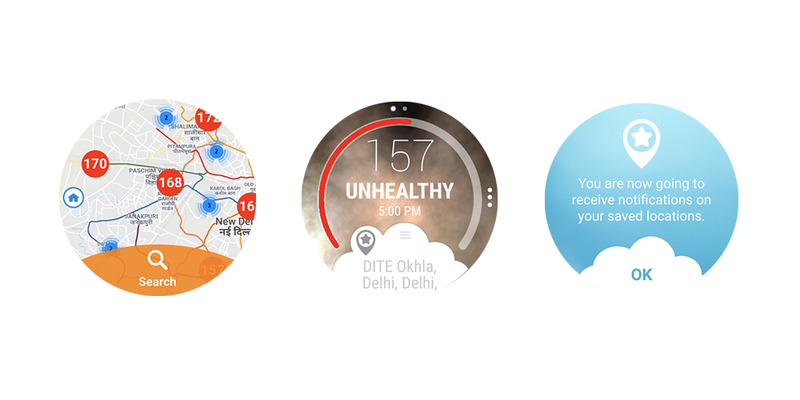 Air365 is an app which lets users be aware of the existing air quality index (AQI), which is a number indicative of how safe or hazardous is the air outside. 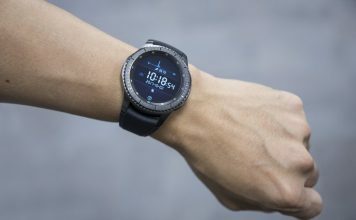 With Air365, Galaxy Watch gives you an easy preview of the AQI based on the GPS location of your smartwatch. You can also determine the quality of air using a map view and add favorite locations. Lastly, you also get an option to activate daily alerts so that the app informs you of the breathability of the air around you before you step out of the house. 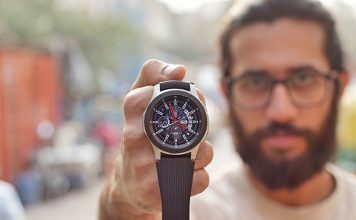 Specially designed for shutterbugs and selfie enthusiasts, this app allows using the Galaxy Watch as a wireless camera controller. Using Camera One, you can peek at what’s shown in the viewfinder, switch between the front and the rear camera, use only the watch to take pictures or videos. What is even more intriguing that all of this can be accomplished while keeping the smartphone’s screen locked. Besides this, you can change a variety of settings such as the resolution of the images and videos, view captured media, and even zoom digitally up to 11x. To be able to use all the good features of the app, you’ll be required to download the Camera One app for your smartphone, which might have the same picture or video quality as the stock camera app on your smartphone. Lastly, you’ll get a free trial of an hour, after which you’ll be restricted to the rear camera with picture and video resolution capped at 1MP and 480p respectively. To be able to use the full version, you’ll be required to buy the full version for Rs 149. In my recent review of the Galaxy Watch, I have come to admire its functionality, considering that its user interface is very smooth and the overall experience is pleasant. This is especially valid while using the Galaxy Watch with a Samsung smartphone. To be able to download these apps (or even sync your Galaxy Watch or other Samsung smartwatches), you must use the Galaxy Wearable app and search for the apps and games listed above. While the above-listed options are available free of cost, you can also find several paid apps for the Galaxy Watch including official Spotify and Soundcloud apps. Tell us about your experience with these apps and games on the Galaxy Watch. Also, share your recommendations as well as your high scores in these games. You can also tell us if you want any of the paid apps reviewed alongside other comments.